The presence of Maciej Ryszkiewicz, Vice-President of the International Federation of Modern Sword Fighting, come to lead a MSF seminar during morning, and who stayed to supervise the tournament and give advices to organizers and fighter, has been well apreciated. Maciej congrats Crystal after a good sword and buckler fight. 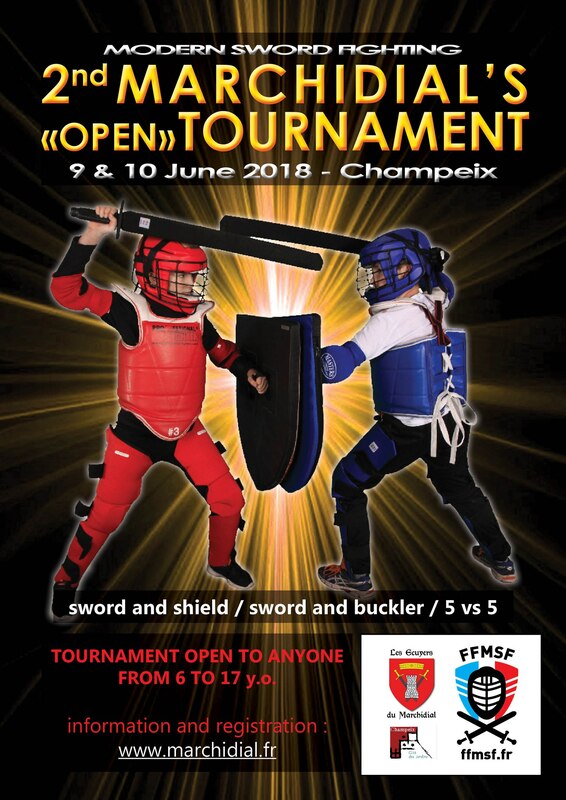 The Federation France Modern Sword Fighting congratulates the fighters and organizing committee and give appointment to everyone in one year : Marchidial’s Squires are already planning the second edition for 9 et 10 of June 2018.